This edition is limited to only 150 in the world! YOUR CHOICE OF FRAME INCLUDED! 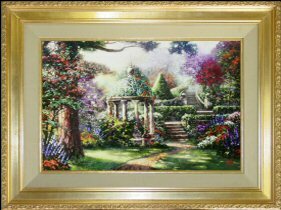 "Gazebo of Prayer" is a stunning masterwork with vibrant, colorful flowers and trees throughout the composition. 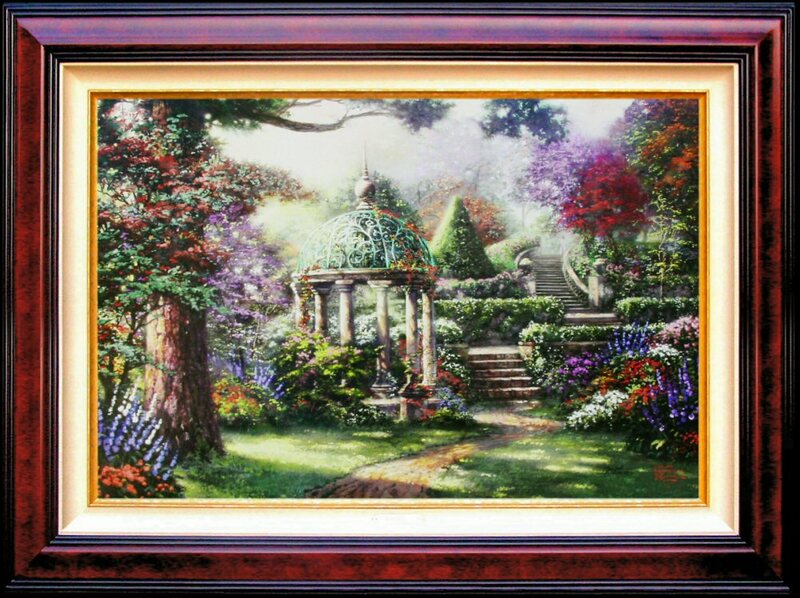 It compliments the other paintings in the series (The Garden of Prayer, Pools of Serenity and The Hour of Prayer) perfectly. 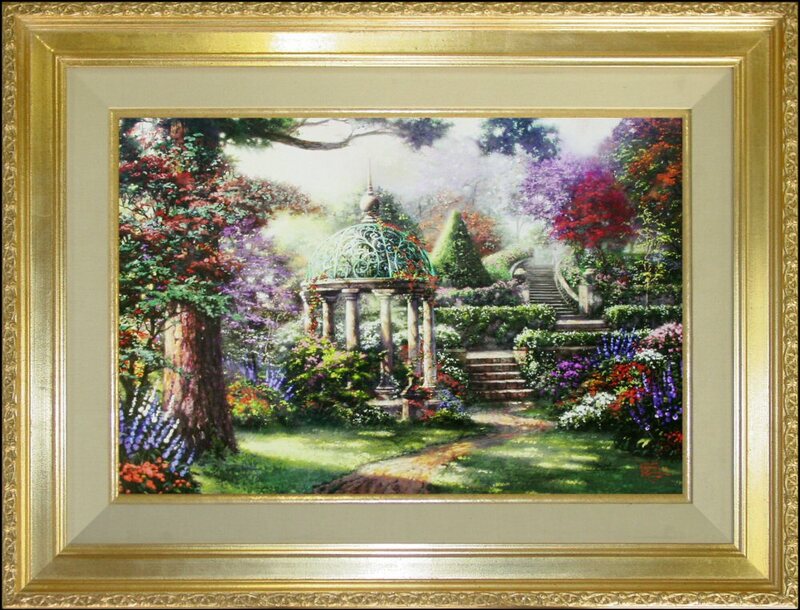 "Gazebo of Prayer" is more limited than most other Thomas Kinkade limited edition canvases. It is only available in 2 sizes: 18x27, and 24x36. Less than 1500 are available in all sizes and all proofs. Don’t let this one slip away, because it will not be available for very long! 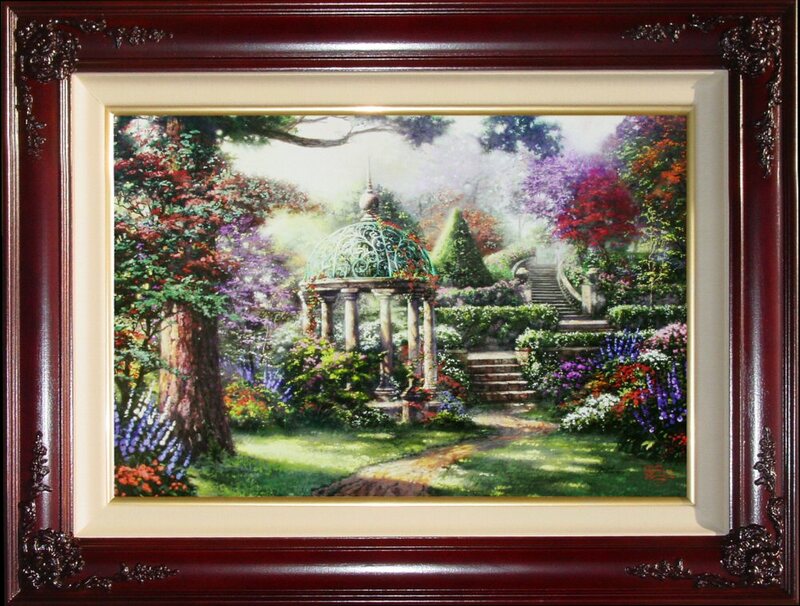 Gazebo of Prayer is the fourth painting in Thomas Kinkade's popular Garden of Prayer series. The other paintings in the Garden of Prayer collection are The Garden of Prayer, Pools of Serenity and The Hour of Prayer. ++++ This Edition is Limited to only 150 in the world! "In my heart, gazebos are truly peaceful places. 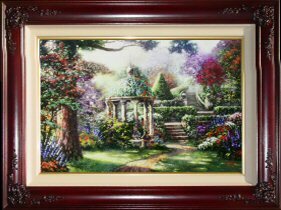 To my artistic eye, this gazebo is a perfect place for those seeking a time of reverent renewal and a moment of solitude to be with their God. The trees soften the light to create harmonies of shadow and color enhancing the viewer’s experience. One can smell the fragrant floral aromas gently drifting in this small sanctum of solitude. 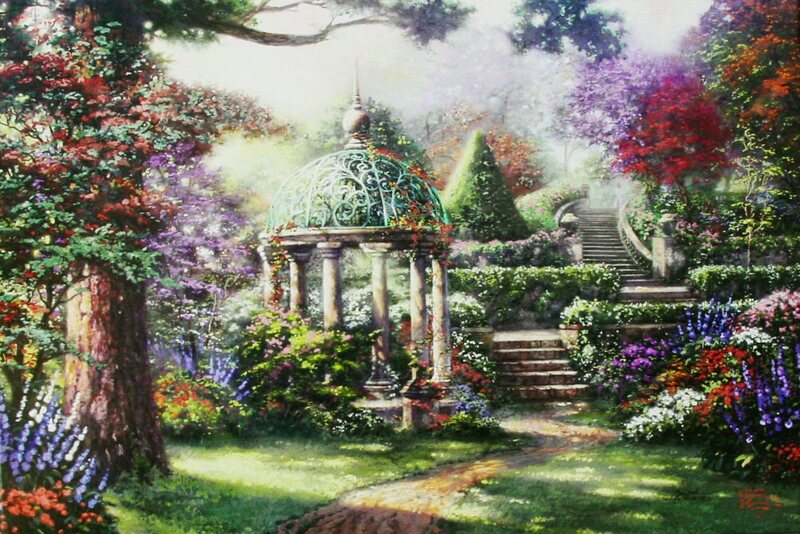 The birds happily sing in the trees as if they were a church choir praising the creator and thanking Him for the grace given to this heavenly garden. The spirit of our Lord fills every moment if we take the time to simply look, listen and allow His presence to fill our hearts and provide guidance. Join me in the "Gazebo of Prayer" where we can connect with providence often lost in hectic, everyday life. God Bless."